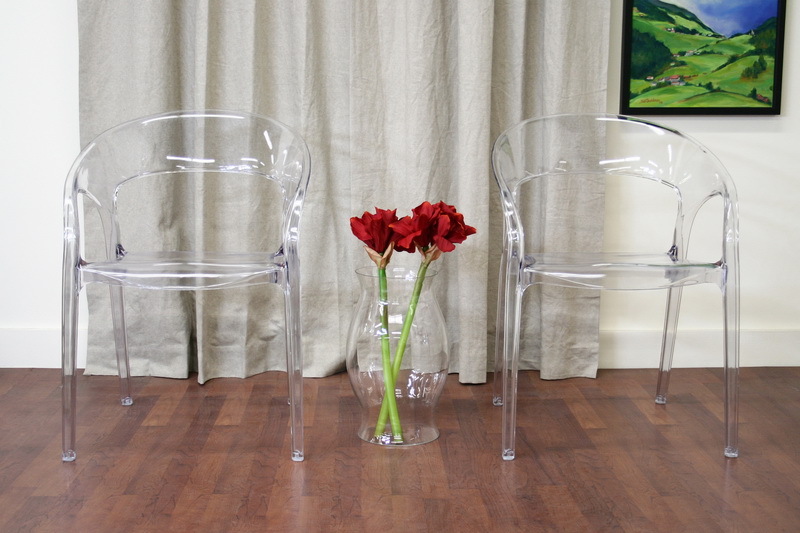 Transparent clear polycarbonate and a simple, modern design make Allegra Dining Chair a versatile and fun addition to your home or office. The Allegra Dining Chair is sturdily built and conveniently lightweight, with comfort enhanced by the curved backrest and arms. Included on the feet are non-marking plastic stoppers to prevent scratches on sensitive hard flooring. Allegra Dining Chair can be used both as a dining table chair or a stand alone side chair.